September 2, 2012. 0 Comments. Categories Asian, Featured, Smoking / Grilling. Tags asian turkey burgers, bread, burger, chicken burger, garlic, healthy burger recipes, milk, spring onions, sriracha sauce, thai chile, turkey. It dawned on me that I rarely make turkey or chicken burgers. Often times they turn out dry and lack flavor. So I decided to try and create a very tender Asian turkey burger that would be moist and flavorful. I decided to use turkey thighs. The additional fat would help the burger retain some moisture and flavor. They were delicious. However, I have also tried this recipe using the lighter turkey breasts and they were also good and not at all dry. To add even more moisture I used milk-soaked bread instead of bread crumbs. I’ve always done this when I make homemade meatballs and it works really well. And it worked just as well with turkey burgers. If you have a family with a hungry appetite then you may want to double this recipe. These burgers go down easily! I love the Asian-inspired flavors in this recipe but you can easily modify this with other ingredients. Replace the Thai chiles, soy sauce and ginger with some jalapeno, adobe sauce and fresh cilantro for a great Southwestern flavor. 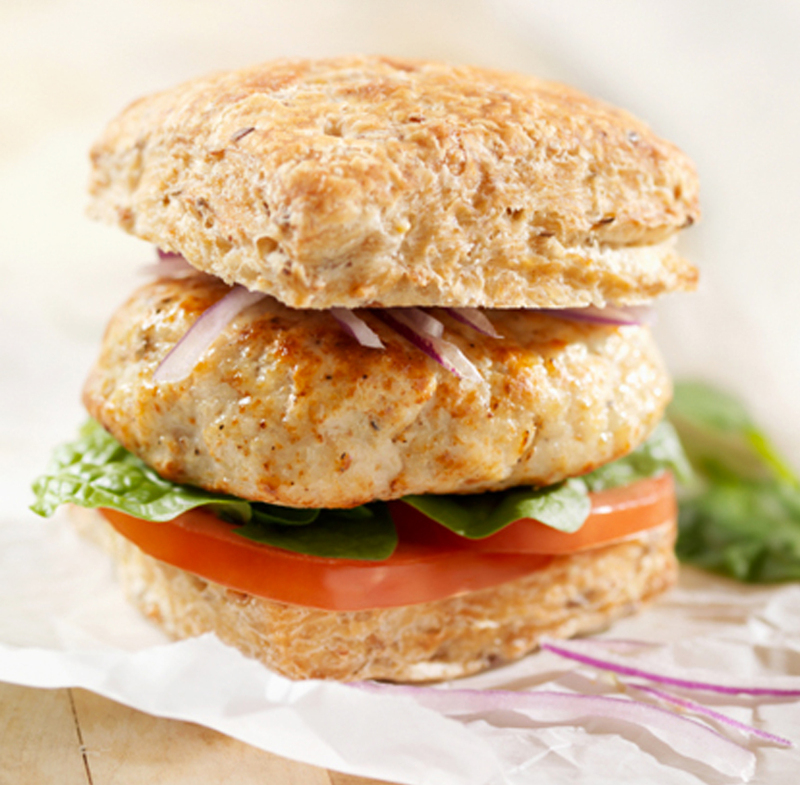 Very tender Asian turkey burgers made with fresh herbs, Asian flavors and some milk-soaked bread to add tenderness. Soak slices of bread in milk until just saturated. If bread seems really soaked, gently wring it out until it's wet but not overly soaked. In a bowl, add ground turkey, soaked bread, soy sauce, garlic, ginger, diced chiles. Mix well with your clean hands until blended. Don't overwork the meat. Then mix in spring onions. The meat should hold together and not be too moist or fall apart. Wet your hands first and then form mixture into burgers that are no thicker than ½ inch. Cook on the grill approximately 4 minutes per side. Remove from grill and allow to rest for just a few minutes before serving with your favorite condiments. I like to swirl a little Sriracha sauce in my mayonnaise or ketchup.